The history of an enterprise's creation and launching refers to opening of Western Siberia-Western Europe transcontinental gas pipeline. In 1982 the plant of oil-gas burner facilities and gas-operated equipment produced first specimen products for Soviet Union oil and gas industry. Geography of plant supplies is extensive. You can find our throughout the Russian Federation and countries of former USSR. Having being operated under various climatic conditions products of the plant gained strong reputation of reliable and efficient equipment of high quality. In 1994 the enterprise was reorganized into Open Joint Stock Company «Fakel». It has kept not only leading positions at the market of oil and gas industry equipment, but also has extended the range of products for other sectors of national economy. Product quality is proved by numerous awards, prizes, diplomas at international exhibitions, forums. In 2004 «Bureau Veritas Ukraine» Company conducted certified audit of the enterprise and it got international quality certificate ISO 9001:2000. Secret of stable operation of our enterprise consists in available extended product range, flexible pricing policy, continuous introduction of new ideas for output modernization and development of new equipment types, pursuing intensive expansion market strategy for Ukraine, Kazakhstan, Asian and European countries. One of the latest technical advancements of the enterprise lies in development of repetition work of light-weight metal-plastic methane cylinders in 2006. 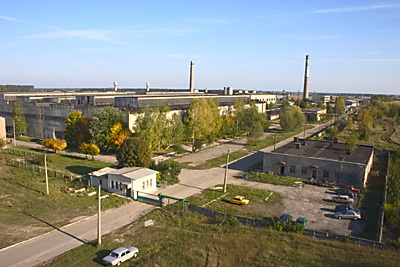 In 2011 OJSC Fakel was renamed in Public Joint-Stock Company Fakel (PJSC Fakel). In 2013 PJSC Fakel and Officina Meccanica Tartarini SRL (Emerson Process Management) signed sales & distribution agreement. Under the terms of the agreement the enterprise acquired the status of official supplier of the production of Tartarini, Francel, Fisher in Ukraine. In 2013 a regular audit of quality management system in compliance with international standards ISO 9001:2008 was performed (TUV Thuringen e.V. audit). In 2014 PJSC Fakel became a partner of Emerson Process Management in Ukraine in supply of industrial regulators Fisher. European approach, flexibility and mobility in relations with customers, reliable and stable operation were the factors that transformed Fakel JSC into powerful player at production equipment market and indispensable link in the work of oil and gas complex.